How to Make Dal Bafla | Bafla Bati in Oven and Pan. Dal Bafla or Bafla Bati is a famous bread of western India. Bafla is a popular dish of Rajasthan and Madhya Pradesh. Hello people. How have you been doing? Hope you all had an astonishing Valentine’s Day celebration. Since it was a workday, so we celebrated ours in the evening, and it went pretty good I must say. Let’s talk about today’s recipe. ‘Dal Bafla’, or ‘Bafla Bati’ is the name of the wonderful bread recipe I am sharing today. Wondering what actually is this ‘Dal Bafla’? 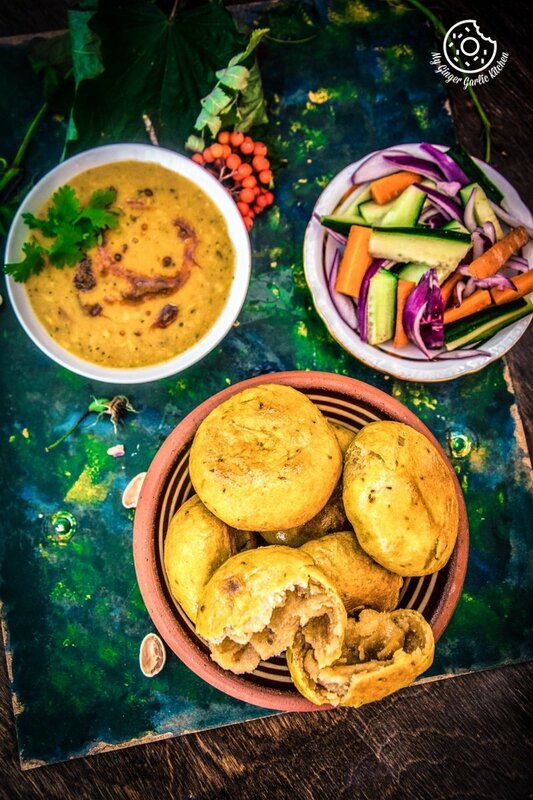 Dal Bafla is a dish similar to Rajasthani Dal Baati which is one of the most popular dishes of Rajasthani cuisine. Dal Bafla or Bafla Bati is a famous food of western India. 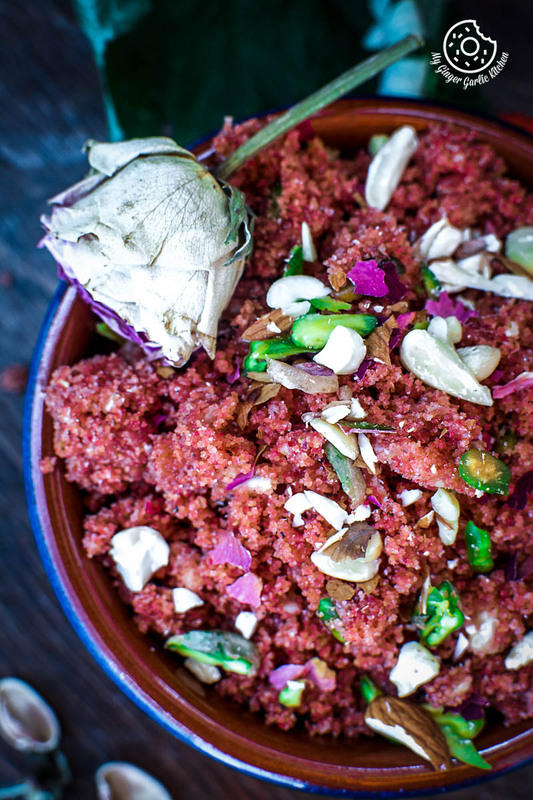 Bafla is a popular dish of Rajasthan and Madhya Pradesh. 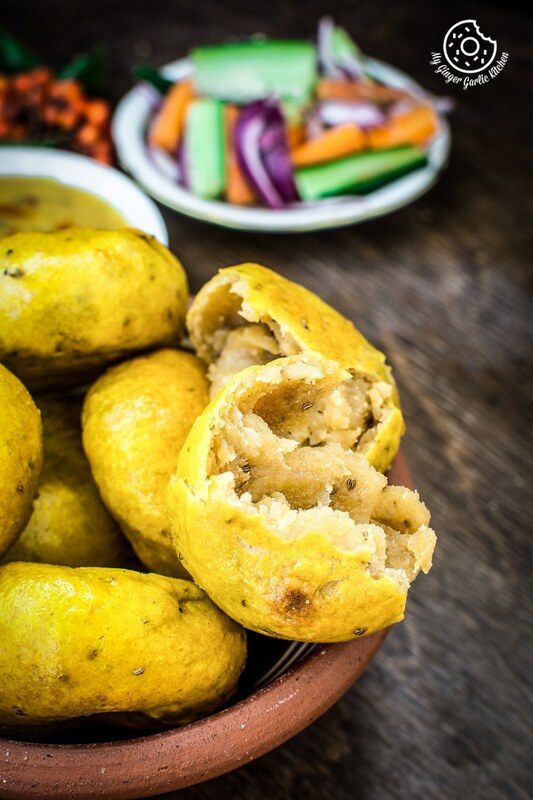 The origin of ‘bafla baati‘ is Malwa region in the Indian State of Madhya Pradesh. 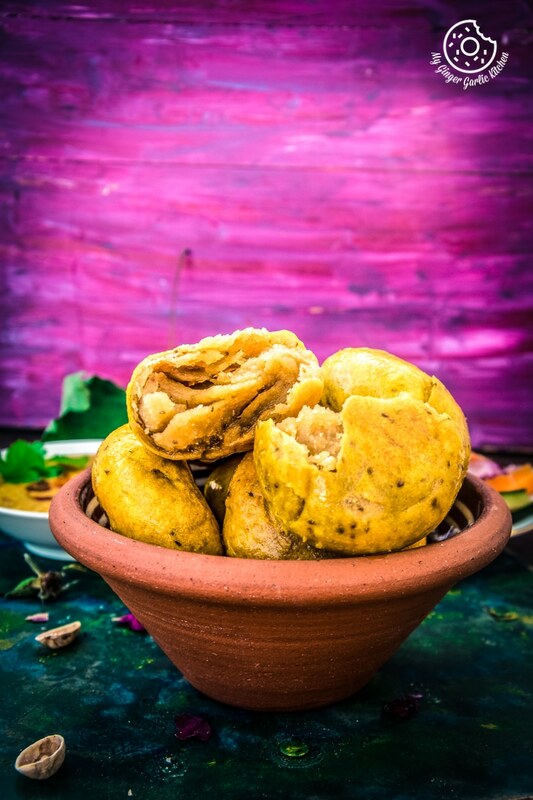 And these ghee (clarified butter) packed wheat dough balls ‘Bafla Bati’ are tremendously popular in both the above mentioned states. Since my parents belong to these two states, ‘Dal Baati and Dal Bafla’ were a frequent flyer at my home. Bafla is usually served with tuvar dal (split pigeon peas). But like baati this can also be served along with urad dal or gatte ki sabzi, and/or kadhi. There is only one main difference between bati and bafla. For baati dough balls are baked directly in the oven. 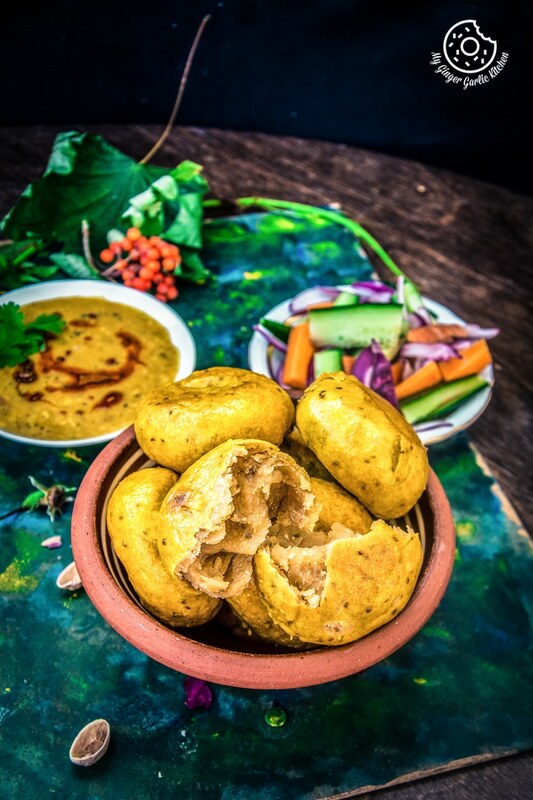 And for bafla baati, the dough balls are first boiled in the turmeric water and then baked. 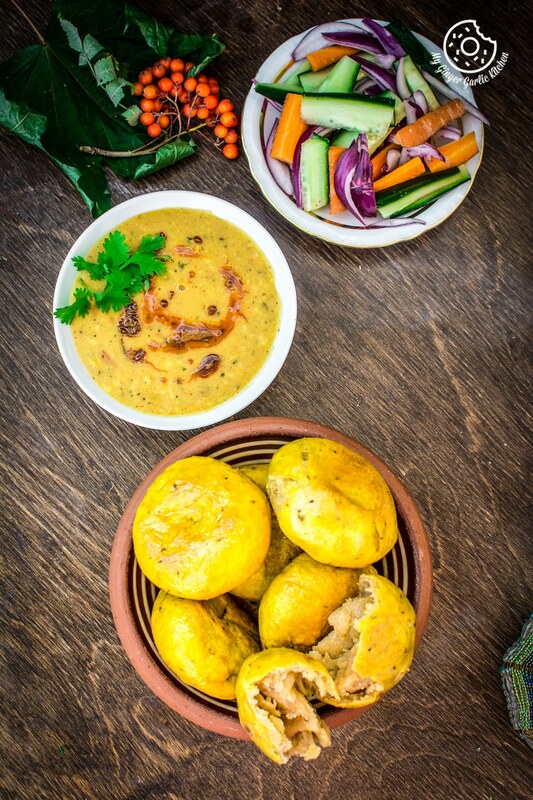 Like Dal Baati, the key to making this dish more and more delicious is the addition of ghee aka ‘clarified butter’. 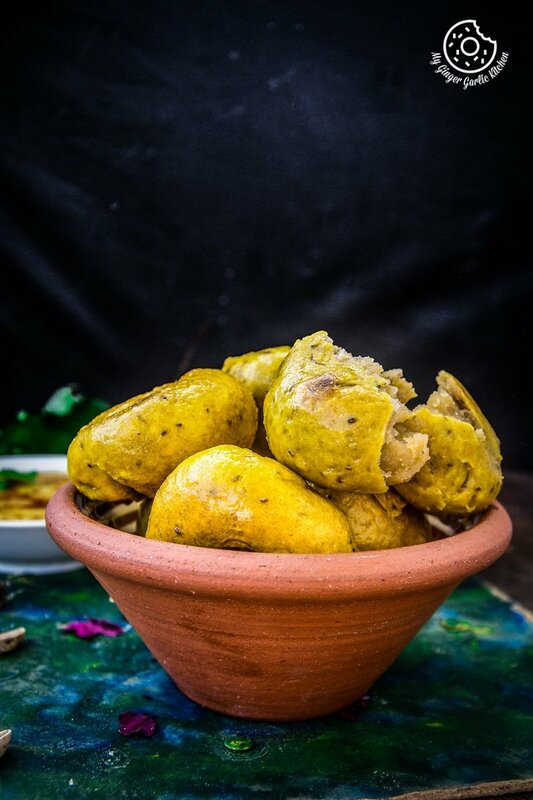 The more ghee you use in bafla baati, the more delectable they would come out. And by a lot, I do mean lots and lots of ghee. There is no substitute for ghee. If you are calorie conscious then you can surely add less ghee but please don’t really omit it entirely. Because ghee is the star ingredient here. 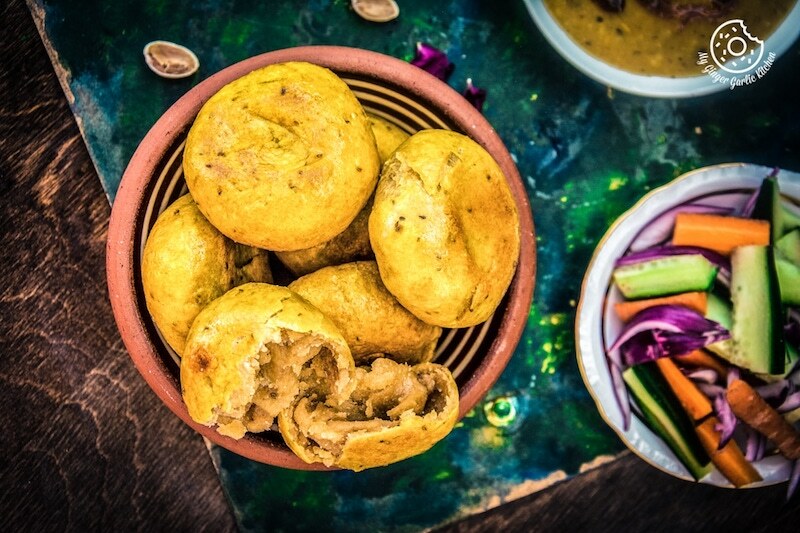 When you think of authentic Rajasthani food, then the very first things which comes to everybody’s mind is definitely ‘Dal Baati Churma’, Malai Ghevar, and Pyaj Ki kachori. However, these are not the only dishes that would come to your mind. 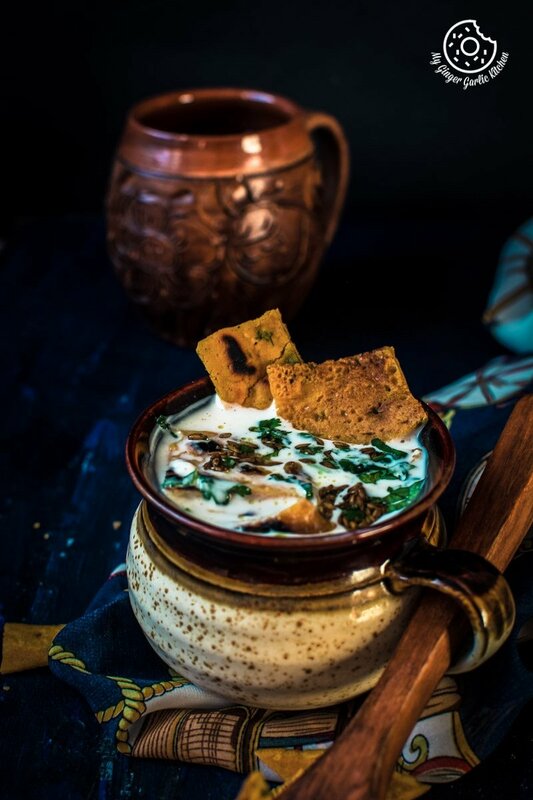 There is an infinite numbers of delicious Royal foods like, Steamed Besan Gatte Ki Sabzi, Moong Dal Halwa, Mohanthal, Haldi Ki Sabji, Lehsun Ki Chutney, Mirchi Ki Tipore, and many more. 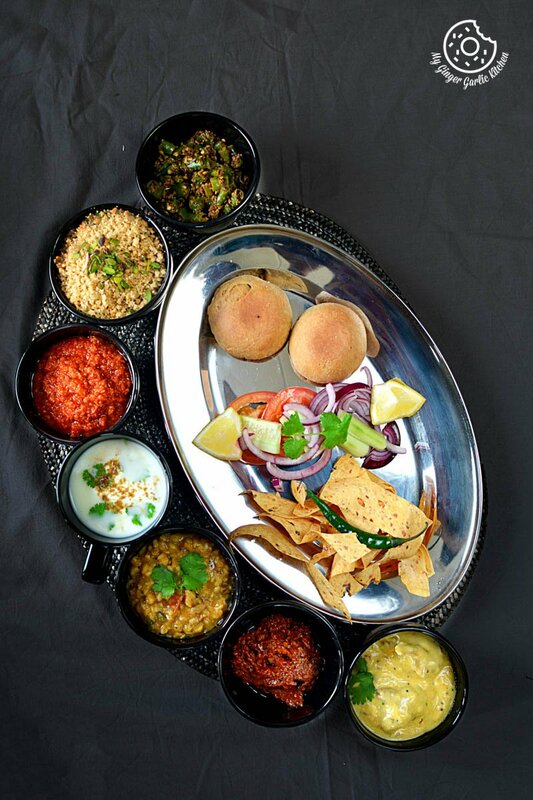 Jaipur is a heaven for a foodie with choices of so many Royal Rajasthani delicacies. 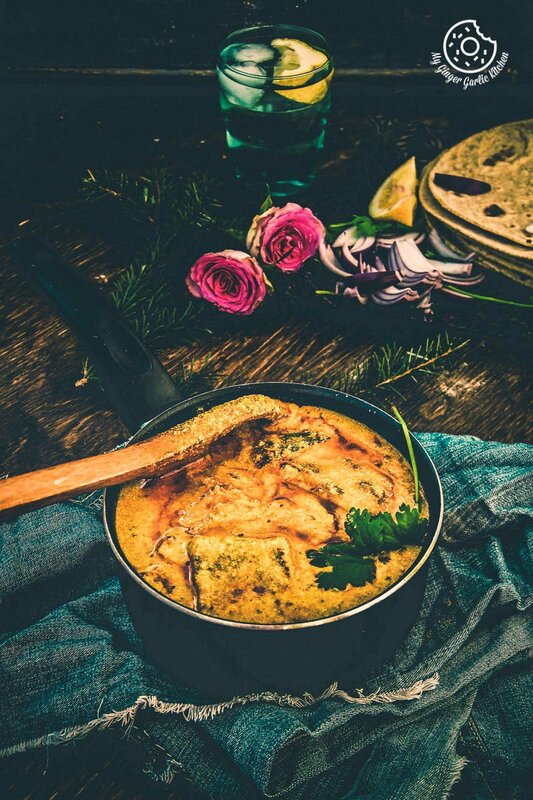 And this ‘Dal Baati Churma’ is surely the king of Rajasthani food. In my earlier post about ‘Dal Baati Chruma’, Dal Bafla is also served during festivals, weddings and parties. In my earlier post about ‘Dal Baati Chruma’, I told you that I never loved eating ‘Dal Baati Churma’ as a child. But I did enjoy eating boiled bafla baatis. I really liked those yellow glazy dough balls. Like Dal Baati, Dal Bafla is also quite a heavy meal. But of course, we don’t eat such heavy, rich and classic meals during weekdays. So weekends are the best days for making this bafla bati. And the weekend is almost here, so you can try your hands on these scrumptious bafla batis. Alright, now let’s learn to make ‘Dal Bafla’ without any further delay, and I wish you will enjoy this traditional delicacy as much as I do. Dal Bafla or Bafla Bati is a famous bread of western India. Bafla is a popular dish of Rajasthan and Madhya Pradesh. 1. Add wheat flour, semolina, ghee/oil, salt and baking powder to a large mixing bowl. 2. Mix well and add water litlle by little to knead the dough. We need a semi-stiff dough. 3. Divide the dough into 7-8 equal portions. 4. Take each portion and flatten it. 6. Flatten the ball, make a small indentation in the center of the dough balls using your thumb or finger. Keep it aside. (Repat steps 4 to 7). 1. Heat water in deep pan. 2. Add turmeric powder and let it come to boil. 3. Drop the rolled batis and let it boil for 5 minutes. 4. Turn the heat to medium. 5. Cover and cook for 10-12 minutes or til they float on the top. (Gently, keep stirring occasionaly, to ensure that batis don’t stick to the bottom). 6. Drain out with a slotted spoon to remove excess water. Let them get dry. 1. Preheat oven to 175°C/ 350. 2. Arrange baatis in a baking tray. 3. Bake for 25-30 mins or until they top turn lightly golden in color. 4. Use a kitchen towel and press hot slightly with your palm. 5. Don’t press it so hard, we just want to crack them slightly. 6. Soak cracked in ghee for few seconds, and drain on an absorbent paper. 7. Keep aside. Baatis are ready. 1. Add 1 cup salt to a pan and put a stand on it. Arrange a plate on it and cover it. 2. Let it pre-heat for 10 minutes on high heat. 3. Brush the plate with ghee/oil. 4. Arrange boiled batis on the plate and cover with the lid. 5. Let it bake on medium-low heat for 10 mins. 6. Flip the patties and bake them again for 7-8 mins. 7. Use a kitchen towel and press hot slightly with your palm. 8. Don’t press it so hard, we just want to crack them slightly. 9. Soak cracked batis in ghee for a few seconds, and drain on an absorbent paper. 10. Keep aside. Baatis are ready. 1. Pour some ghee over bafla bati. 2. Serve hot with dal, onions, lemon wedges.